Last week’s Mondato Insight looked at carrier billing and its re-emergence as a mobile payments solution. In the post-paid mobile market the proposition is very simple: the charge for the app, song or other digital content is added to the consumer’s mobile phone bill. 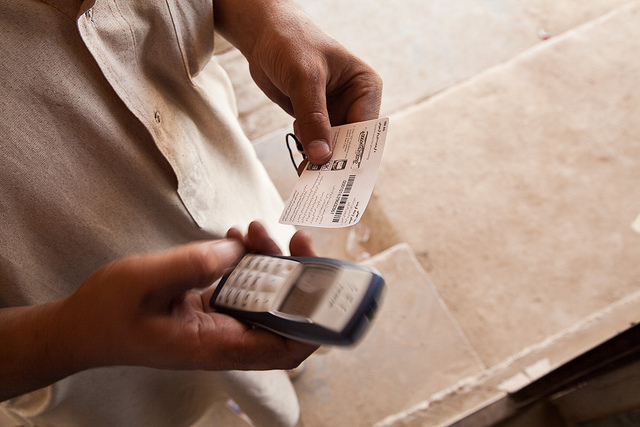 Where the consumer uses a pre-paid (‘pay-as-you-go’) mobile phone, which can count for as many as 99.5% of connections in many developing markets, the price of the product or service is deducted from their airtime balance. While this seems seductively simple, and superficially the same as adding the cost to a post-paid bill, pre-pay is actually a very different proposition. At the risk of stating the obvious, airtime is not money. In essence, airtime is a commodity that the consumer has purchased, and which he or she is then using as a means of exchange. In other words, airtime is being used as a currency. Of course, there is nothing new in airtime being used as a means of transferring value: mobile money’s origins lie in the practice of sending airtime in lieu of money as a means of overcoming physical and cost barriers that lay in the path of using traditional remittance methods. Indeed, the practice lives on, as noted in a previous Mondato Insight on international airtime remittances, and ‘airtime as currency’ endures in markets where mobile money has failed to flourish for whatever reason, or when it is simply more convenient than having to register and open a mobile money account to send fiat money over a telco’s digital rails. As The Economist noted in a 2013 article entitled “Airtime Is Money”, the practice of using airtime as money is quite widespread in Côte d’Ivoire, Egypt, Ghana, Uganda and Nigeria, in part because the regulatory environment has not been conducive towards the development of scaled “real” mobile money deployments. The Center for Financial Inclusion reported earlier this year that, while waiting for that country’s first mobile money deployment, South Sudanese were flocking to airtime transfers as an alternative. In Zimbabwe, airtime stepped in to fill the void caused by a lack of low denomination US dollars and cents, after the country’s hyper-inflation caused it to abandon the Zimbabwean dollar. With eight legal currencies in circulation (none of which is its own), customers were, literally, being short-changed when merchants did not have enough quarters or 10 pence pieces, and customers had accumulated more than enough condoms and chocolate to last them for the foreseeable future. Credits of small amounts of airtime became a common means of making up the difference. In some markets, the economy surrounding airtime has developed even further. A well-known example is the Boston-based advertising platform Jana Mobile, which rewards users with airtime for consuming marketing content. Jana’s founder, Nathan Eagle, claims to have been inspired by his involvement in a project in Kenya that asked nurses to text in medical data. Without being reimbursed for the cost of the SMSs the nurses proved reluctant to oblige, so Eagle wrote code that would reimburse the nurses’ airtime account with credit for each text sent. Today, Ghanaian nurses could, in theory, “earn” airtime credit for reading an advertisement on their phone, and then use it to pay for life insurance, or perhaps even exchange it into bitcoin and send it to a friend in Kenya (for more on crypto-currencies see Mondato Insight here and here). A South African company, Air Taxi, envisaged a whole airtime economy developing from its plan to allow customers to pay for taxis using airtime: cashless customers would pay twice the going rate to a driver who could then exchange airtime for discounted fuel, permitting the gas station to resell the airtime at face value. The weightless and transportable nature of airtime is what makes such an idea feasible when for other commodities it would be impractical. And that is what worries some regulators. The potential problems associated with airtime as a currency are masked by the natural practice of expressing a mobile phone balance in a fiat currency, whether it is dollars, shillings, pounds, rand, euro or cedi. If we conceptualize phone credit not in dollars, but in an imaginary Airtime Currency Unit, (ACUs for short), the issue becomes apparent. When a customer purchases 10 ACUs, they pay $10 (or perhaps more, depending on the business model and whether airtime is subject to a sales tax), but up the value chain the MNO may only receive, say, $7 for the 10 ACUs they have just sold the consumer once commission and applicable taxes have been deducted. If they then allow the consumer to use ACUs to purchase $10 worth goods or services, the MNO is thereby subsidizing the consumer’s purchase and the fiat currency involved. Some business models overcome this issue by adding a significant premium on top of the purchase price where airtime is used to make a transaction, such as mHits in Namibia, which allows the purchase of “emergency” electricity top-ups via mobile phone, whereby $10 of electricity can be purchased for $20 worth of airtime. This pricing structure supports the business model, but raises questions such as were the product taxable, should the consumer pay tax on $10 or $20? The fiscal and monetary policy issues involved are complex, as highlighted by the IRS decision to treat another virtual currency, bitcoin, as property (see the previous Mondato Insight on Bitcoin for more on this). To add more complexity to the situation, the very ease of use that allows airtime to organically fill gaps in the market and economy has raised concerns among those entrusted with Anti-Money Laundering efforts and Countering the Financing of Terrorism (AML/CFT). The informality of the cash-in/cash-out networks mean that tracing and auditing are very difficult, if not impossible. In a recent presentation to the Association of Certified Anti-Money Laundering Specialists, the former head of the Afghan Threat Finance Cell, Kirk Deyer, asserted that some terrorist groups in East Africa operate using mobile phone resale and pre-paid airtime shops, activities that have brought the attention of the Financial Action Task Force to bear on airtime’s role as a currency. Nevertheless, as Mr. Deyer also noted, when it costs only approximately US$1 per day to fund an al-Shabaab terrorist, it is difficult to see how regulators and law enforcement, realistically, can control the practice. Despite this, however, airtime potentially plays a vital role in developing the MFS ecosystem. As noted in Mondato’s Insight on airtime remittances, and further highlighted by studies carried out by CGAP on methods of payment for micro-insurance, consumers, particularly those with low levels of comfort with technology, are still often very familiar with the process of “topping up”. Creating products for these Base-of-the-Pyramid customers designed around, and indeed using, a concept and practice with which they are familiar increased consumer adoption. The necessary level of behavioral change was small and incremental, a crucial component for the success of most new products. Not all jurisdictions permit the use of airtime for the purchase of non-mobile content, and what we might call the “exchange risk” for MNOs means that its uses may be limited to digital content (as is the case with Amazon in Germany, as noted last week) or the deduction of small cumulative amounts (such as with Tigo insurance in Ghana), or indeed as a premium service, as is the case with mHits in Namibia. None of this necessarily precludes more widespread use, though customers using airtime to purchase non-mobile content could probably expect to pay a premium for their e-commerce purchases. At a large enough scale, this could theoretically contribute to price inflation more generally. At the other extreme, as we have seen, flight into ACUs can act as a buffer against inflation. Neither scenario is likely to warm the hearts of central bankers. Taken in the round, it is clear that in many instances airtime will continue to be used as a currency where the alternatives have failed. Whether it is feasible, or indeed desirable, for its widespread use beyond the purchase of digital content, however, is another question entirely. The speed at which mobile phones have penetrated across the Global South and the depth to which they have become imbedded in the lives of most people across the world has made airtime the world’s first genuinely valuable digital commodity. While much of the world’s attention has focused on Bitcoin, which in many respects isn’t really a currency anyway, the enduring role of airtime as a currency often gets overlooked.